When I first heard Helena was doing another novella from Chris's POV, I was ecstatic. 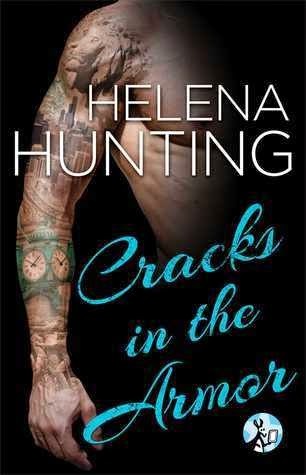 I really loved reading Between the Cracks, which was also from his POV and seeing his and Sarah's relationship begin to develop into more. However, Between the Cracks, while from Chris's POV, really served as a 'bridge' novella between the first and second books. While I enjoyed this novella, it wasn't quite what I was expecting. I expected it to focus more on Chris and Sarah and their relationship, and serve as a transitioning piece to their full length novel. Instead, it felt more like filler, which isn't necessarily a bad thing, but I think I would have just preferred Sarah and Chris's book instead. Chris really cares for Sarah and the smallest gestures speak volumes. He wants to move forward with her but is afraid of her reaction. He doesn't want to mess up what they do have by pressuring her for something she may not be ready for. Sarah also cares for Chris and she's afraid of what that means. She is afraid to get close to him for fear of him letting her down. Chris leaves his apartment key for her every night, and as much as she wants to keep it for herself, she wants him to tell her to keep it. She knows he hates her working at The Dollhouse, but she needs that money. Hell, she hates working there and there are some nights she can't bear to be with Chris because of the shame she feels after being pawed at. Time with Chris is precious as it is with work and school and her upcoming internship. These two definitely have their own obstacles to overcome, but I think with a bit more communication they can really make it work. I did like that we checked in with our favorite characters and saw them through Chris's eyes. Hayden and Tenley are happy, having just moved in together, but are not without their issues. Hayden really struggles with his OCD and there are still things in Tenley's past that come back to her haunt her. It will take time, but these two are headed in the right direction. Overall, while I would have just preferred Sarah and Chris's book, I did enjoy catching up with everyone, but I would have preferred it centered more around Sarah and Chris. I really really REALLY need to start this series. Glad you enjoyed even though it wasn't quite what you hoped it would be. Great review!